Every pony in Equestria is smart, but nobody loves to learn like Princess Twilight Sparkle! This poseable Princess Twilight Sparkle pony has just the right accessories for a day of her favorite activity - reading. When you scan her necklace into the My Little Pony Friendship Celebration app (device not included), you can unlock her character in the app! 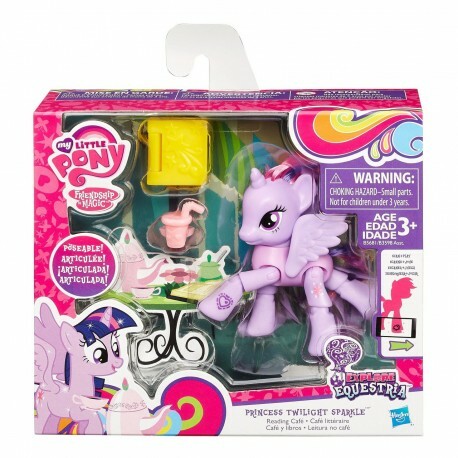 You’ll have the most fun-loving friend in Equestria with this Princess Twilight Sparkle pony pal! • My Little Pony Friendship Celebration app works with iPhone, iPad, iPod touch, and select Android devices.